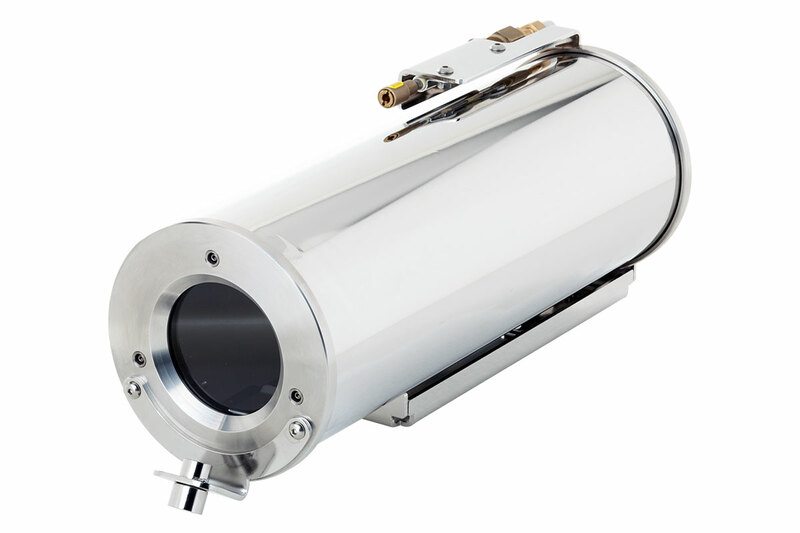 The innovative 129AC Air Cooled camera housing perfectly fits the gap between very hot installations which require a liquid cooled camera housing and standard installations which don't need any cooling system. The enclosure is entirely manufactured in AISI316L stainless steel, making the 129AC the best solution in hot and harsh environments, where standard aluminium/plastic camera housings would be rapidly damaged by heat and corrosive agents, especially in industrial indoor installations. - an air nozzle to cool down and, at the same time, keep clean the glass from dirt and dust. 129AC 360 70 Borosilicate window, thickness 5 mm.